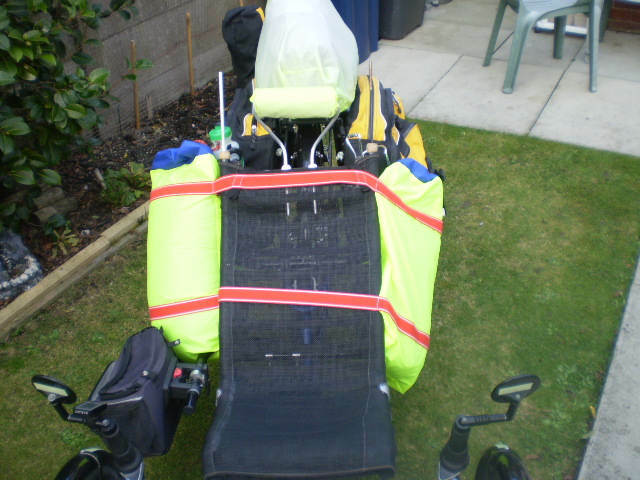 One of our TA enthusiasts in England has a visionary mind regarding trike modifications, and his wife has a creative hand regarding making those visions become reality. 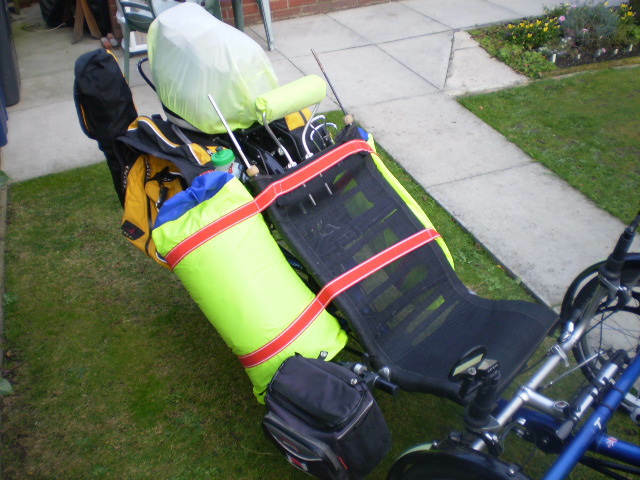 Alonzo Savage, and his wife Margaret, have put together what he calls “Alfa Side Pods” so that the space alongside his trike seat is not empty when it comes time to take an overland journey. 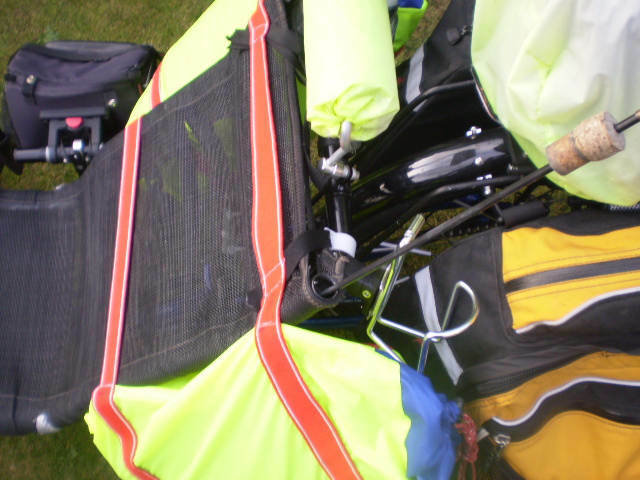 Many trekking trikers let the valuable and voluminous region under their arms sit idle, while strapping things like sleeping bags, tents, and mattresses high up on top of their rear rack trunk, which is potentially dangerous when in high speed curvy descents due to the high center of gravity. High cargo loads also stress the trike’s rear spokes unnecessarily in curves. Here are Alonzo’s Alfa Side Pods on his ICE T trike. Here are some pictures of our prototype side pods. The big bulging one has my down sleeping bag in it. The other pod is packed with my tent, tent footprint and mattress. 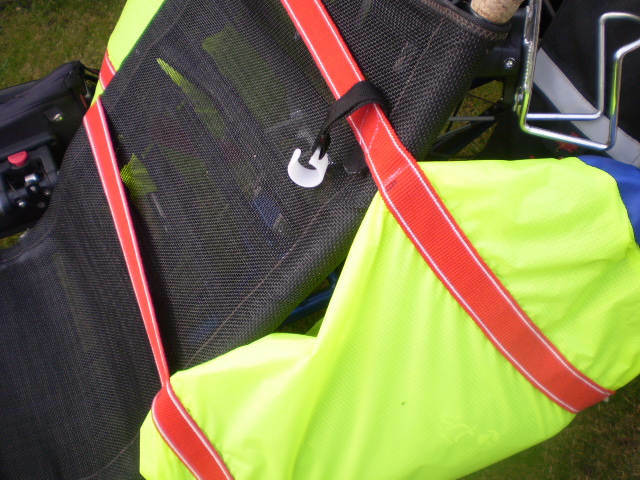 I.ve taken photo’s of the small clip that fits over the top of the seat and clips onto the frame. They are a bit tight but they do stop the heavier bag from slipping down. The bag with the sleeping bag sits quite happily on the bar bag frame. 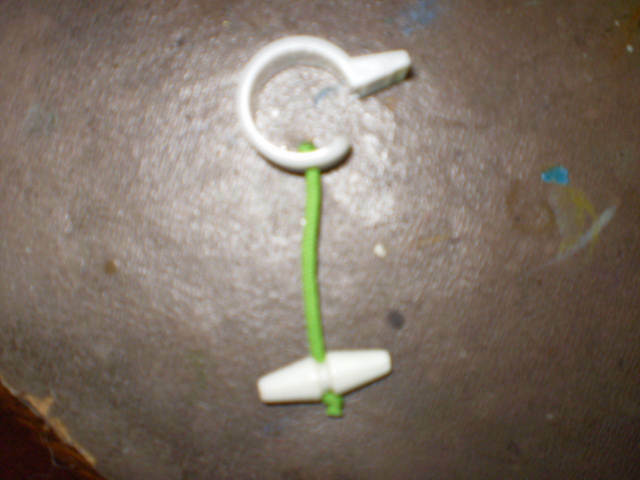 As I say this is our prototype so it will need road testing at some point. Also note that as the pods are made in ripstop they might not be waterproof so all the stuff inside is in dry-bags. Please also note that the packing of the tent pod needs a little more experimentation. Total cost around £10 plus half a days sewing by my wonderful wife. I do the designing and Margaret does the sewing. We make a good team. Why Alfa? Well for most of my life up until I started college, Alonzo was always changed to Alphonso (Alf). Margaret is really good with a sewing machine and we only had to narrow the bags down a little bit from the original design. When we measured up the yellow material (ripstop) we found that there wasn’t quite enough so we added on some blue that was laying around from previous projects. We’ve used the draw-string method for the tops rather than having to sew in zips. 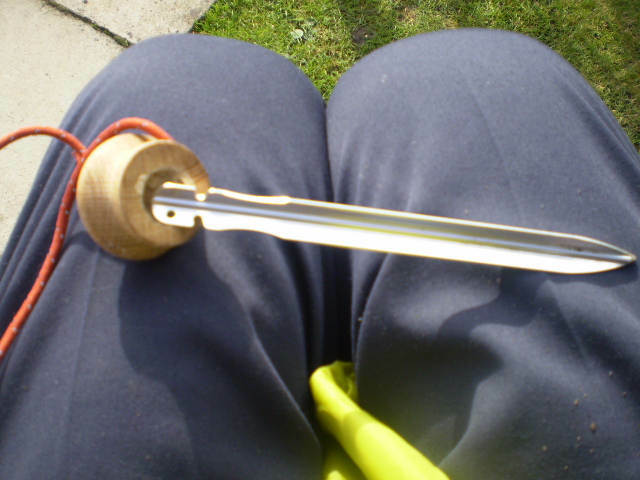 Zips can be both fiddly to sew in, they need a cover strip and are expensive. So the draw-string idea works for us. 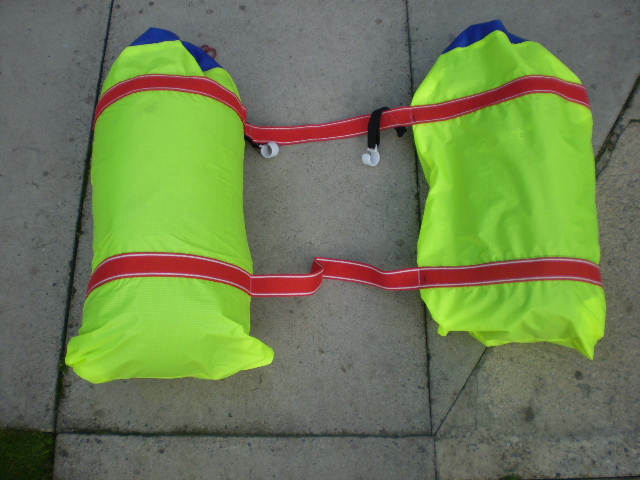 It just makes things more simple but NOT waterproof hence the dry bags inside. That down sleeping bag that I recently bought sure takes some stuffing in. 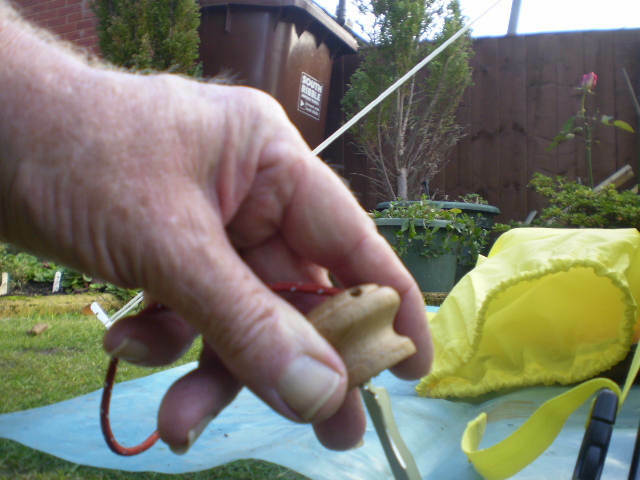 Even with a large dry bag I had to put the dry bag inside the pod before stuffing in the sleeping bag. The sleeping bag is sooo cosy and warm. 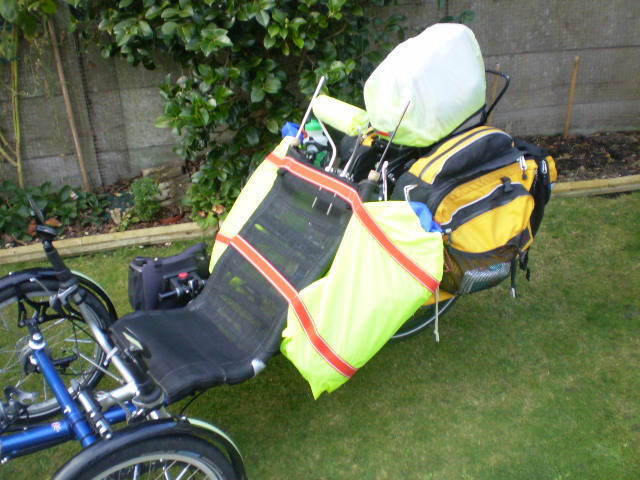 Tomorrows job is to re-jig the packing as I think the tent could be split into the Arkel tubes and the side pod bag could then be used for something else, not sure what though. The pods incidentally only weigh 8oz and much of that is in the webbing I think. 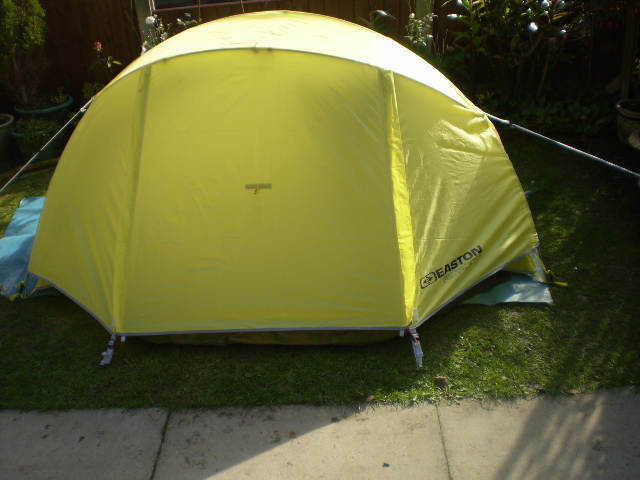 If the weather holds I’ll put up my new tent and blow up the mattress with the sleeping bag on the top and take some pic’s. 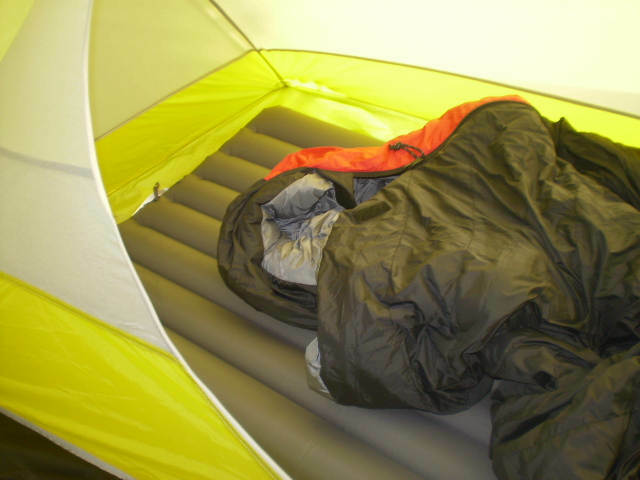 The blue material was added to extend the high original yellow material, as it was discovered that the bags were slightly too small initially to hold the sleeping bag. 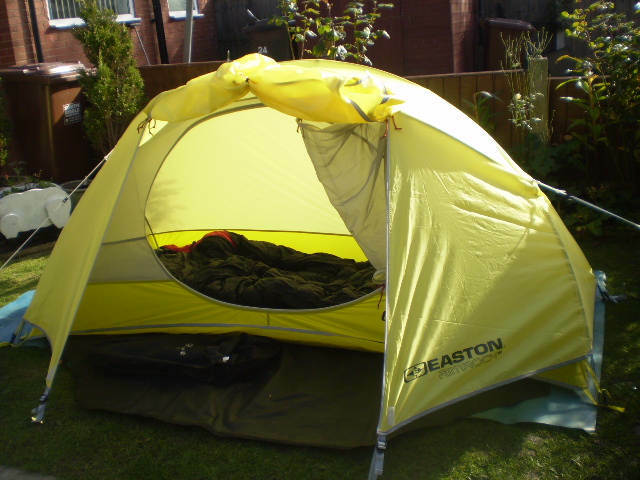 This is the tent and sleeping bag setup that Alonzo fits into the Alfa Side Pods. 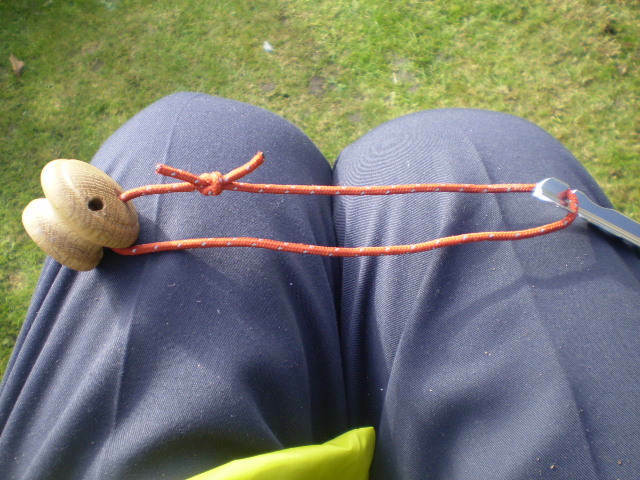 This nifty Alonzo invention is used to push tent stakes into the ground wihout tearing up one’s skin, and then for removing the stakes later. Great idea!